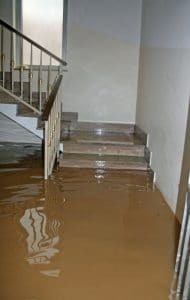 No matter the source of the flood in your Orange County home or business, it is no match for our fleet of water drying equipment. From truck mounted extraction units to the powerful blue dehumidifiers & air scrubbers, your nightmare flood emergency will be a distant memory. Our team of water removal experts are available 24 hours a day – 7 days a week & can be on location at your OC property within an hour. Call us today at (949) 357-1919. Each year, more than 40 million people visit Orange County to spend time at the wide range of tourist attractions, historical sites and other places of interest, with one of the most popular places visited being Disneyland. Fantastic weather virtually all year round means that there are also several outdoor activities for people of all ages to take part in and enjoy. Some of these include visiting popular spots like Huntington Beach, Newport Beach, Victoria Beach and Salt Creek Beach. Families who enjoy thrilling adventures can visit Great Wolf Lodge, or if they are simply looking for somewhere new to visit, they can explore downtown Irvine, Anaheim or Santa Ana. Each of these towns has several independent stores, malls and other forms of entertainment that will be sure to keep each member of your family satisfied. If you’re looking for a slightly slower pace for the day, there are several museums to spend time in as well.